And that attitude had its roots in jazz’s legendary “brothel and gangster” origins. Too often these legends were used as a smokescreen by bars looking to make money off of selling gallons of booze to male musicians. 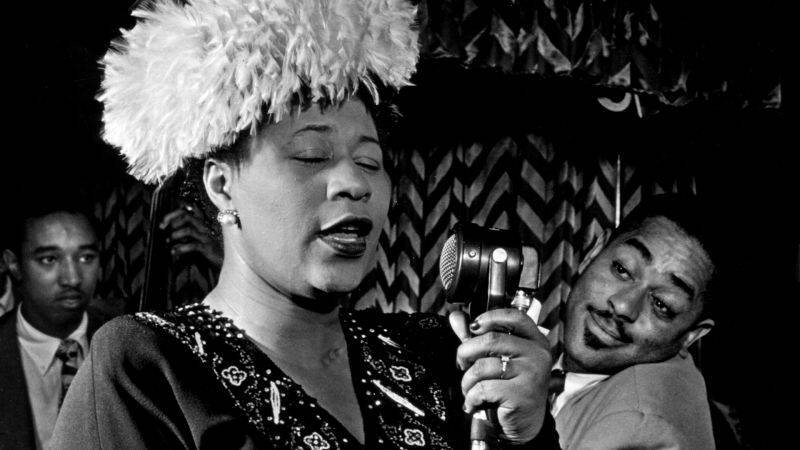 It is true that women had a place in jazz only when they were singing, but the geniuses – and there have been many – shone like diamonds amongst the many mediocre males. Sadly, for far too long the problem affected the makeup of jazz audiences, too; few women went to hear the music, and those who did were merely escorting their boyfriends or husbands. In the end it was only a matter of getting deeper into jazz, understanding it, assimilating it. With the passing of time and changing social norms, women ultimately took center stage. You might even say that many of jazz’s women have been more creative, more influential and more trailblazing than the men. That’s what I would call “turning the page” of music history. Take Maria Schneider, for one. I believe, along with a lot of other people, that she is the greatest living composer and arranger in the world. Men included, obviously. And in Italy? In the past the situation was much the same. Twenty horrible years of fascism deprived men and women the freedom to follow jazz. Degenerate music, they used to call it. Things have changed radically – and for the better—even for Italians, and first-class female jazz musicians now flourish. In New York, we are extremely fortunate to have many intelligent, creative Italian female jazz composers and interpreters, some of whom I would like to name here. I apologize in advance to those I could not include, but there was simply not enough space. Pianists Patrizia Scascitelli, Simona Premazzi and Daniela Schaechter (a bona fide Sicilian); saxophonist Ada Rovatti; and Grammy-nominated singer Roberta Gamberini, surely our most internationally-recognized jazz artist. Look ‘em up and give ‘em a listen. You won’t regret it. These talented women are bringing an originality and freshness to the language of jazz that we have been waiting for for a long, long time. The lesser species of macho men, fortunately, is growing extinct.